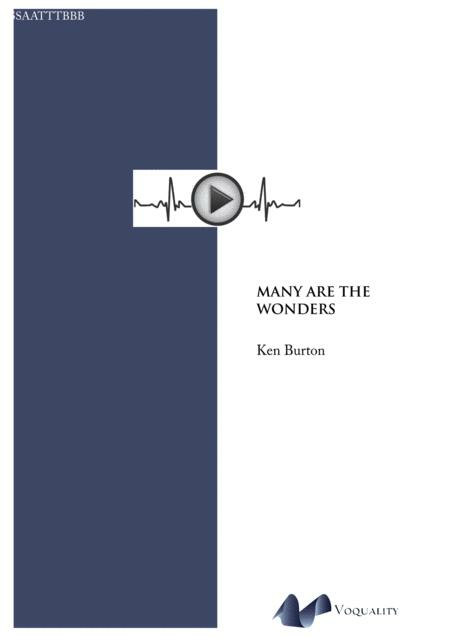 Composed by Ken Burton. 21st Century, Sacred, Thanksgiving, Wedding. Octavo. 21 pages. Published by Voquality (S0.270257). Commissioned by professional choir ORA, this work reflects Tallis' Renaissance work 'Loquebantur In Variis Linguis', which draws its text from the account of Pentecost, recorded in Acts 2. This work 'continues the story', characterising the mighty, rushing wind, and speaking in various languages as different sounds combine through the use of various scales. This piece is suited for competent chamber choirs, or can be effective with large choruses. It works perfectly in an ambient setting.